If you’re tired of having your traffic barriers driven through or your gates crashed into, it’s probably time for something a little more – shall we say – familiar. And if you’re a city dweller – or if you’ve ever been in a motor vehicle, for that matter – what can be more familiar than a traffic light? 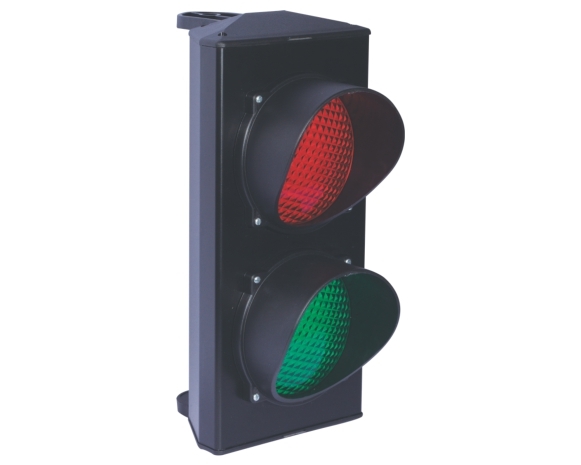 The CENTURION Midi Traffic Light is a highly effective traffic control solution that interfaces seamlessly with virtually any automated system including our SECTOR high-volume traffic barrier and CLAWS roadway spikes; it provides visual indication to vehicles of when it is safe to proceed into or out of an access controlled area (you know, without mutilating their tyres). A collection of high-quality LEDs ensures that the output states – red or green – are clearly visible in both bright and low-light conditions, and we’ve even pre-wired an interface relay for you to save you the effort. So easy is the CENTURION Midi Traffic Light to install that we wouldn’t be surprised if you fitted one to control your household’s shower schedule in the mornings! This (literal) beacon of light is available in two configurations, namely Pedestal Mount for fitting onto traffic barriers, and Wall Mount for use with pretty much any other automated system.